Malta Tourism Authority and Air Malta are hosting a Taste of Malta networking evening for corporate, agency and association event planners on 24 March. The Taste of Malta event – being held at No 5 Cavendish Square in London – is being produced by agency Beyond Certainty. Onsite Malta – which was involved in cosmetics company Oriflame’s annual conference in Malta in September – will attend the event, along with the Grand Hotel Excelsior, Kempinski Hotel San Lawrenz, Radisson Blu Resort St Julians, and the Westin Dragonara Resort. Alpine Sterling Travel & Tourism; Events Travel & Incentives; Corinthia Hotels; and Air Malta will also attend. 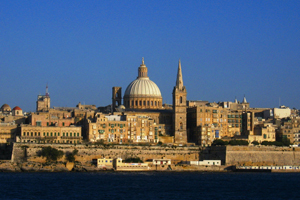 Malta Tourism Authority’s director Alex Incorvaja said: "The UK remains one of Malta’s most important MICE markets." He added Malta’s popularity was down to "ease of access, no language barriers, a temperate climate, versatility of venues and spectacular outdoor locations".